Afraid of bringing me more publicity, brother? They would be very well-received, I'm sure. OoC: Today is the first anniversary of Genji in Pandora. Here's for more nerdy cyborg ninja in the future! bears and Birb like this. @Genji Shimada Can't have Pride without Prejudice. It's a given and to be honest, it's a real shame. No wonder why progress gets held back among other things. I hope you are proud of us now, father. Angela Ziegler and Hanzo Shimada like this. How about we have a drink tonight, in honor of our father? I'm sure you should be able to find some quality sake for this occasion. Naturally so. Only the finest selection to honour the best father there ever was. Very well. A drink for our father, and a drink for ourselves, as we shall continue carrying on with this life together. Thinking about it, I have been in Pandora Town most of the time since I arrived here. Maybe I should start branching out a little more. That was just this ONE time! It's not like I'm planning on ending up there again. So don't worry, I'll take care of everything (and myself) for a change. Heh. Good. Then I should have nothing to worry about. Yes. You just go out and enjoy yourself, brother. I have what, 3 jobs now? I'm not sure how that happened. Alright, I'll be waiting, and hey, it's not like I said where it was. So, um, you have a shop serving ramen in Pandora Town? If I ever come finding myself there, I'll know to try some of your food. I really want one of those hoverbikes, but they are so expensive. Sometimes I miss the days when I was rich. Yo! What are the best restaurants around Pandora Town? I am looking for some good food to eat. Haven is the pub attached to Elusion, you'll eat free there as my employee. Enjoy! You're eating food now? Like....real food? I missed something didn't I? Had to say no to some good free food, thank you for the heads up, Ms. Adler! @Jesse McCree Well, I always could eat normal food but... you will understand once we have another meeting. 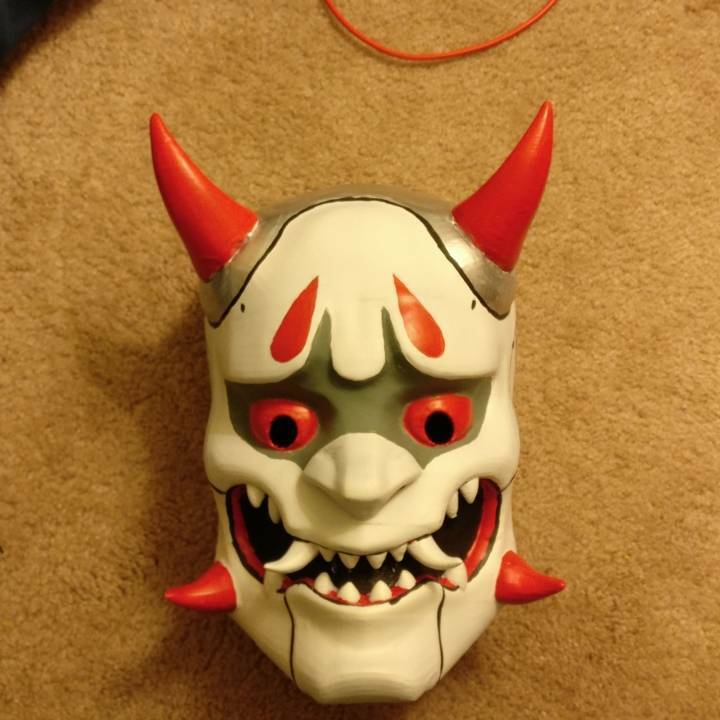 https://cdn.myminifactory.com/assets/object-assets/586c11ec40396/images/720X720-img-20170103-224343.jpg Found a mask for Halloween. I might be predictable, but at least I am willing to make compromises. There is more than one reason I was always more popular with the ladies than you, brother. ... Shimada brothers at it again I see. Nice mask by the way, Genji! I must say I am impressed with how many adults are still so invested in Halloween. To know yourself is to be at peace. Genji Shimada does not belong to any groups.